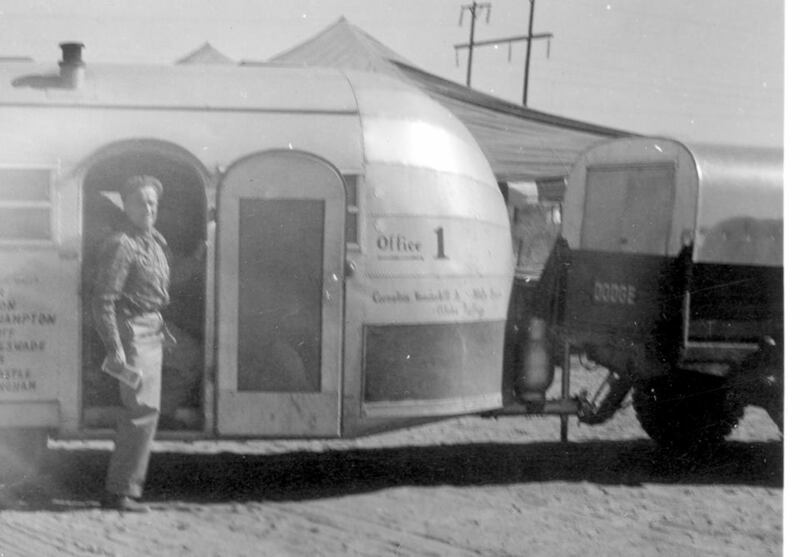 In addition to being a visionary designer and engineer, Airstream founder Wally Byam was also a talented marketer. He understood that hitching up a travel trailer and towing it down the highway was a daunting task for the uninitiated. Wally knew that the only way he could convince people to overcome their fears was to show them how exciting it was to embrace the freedom of the road. While he could have set out on a cross-country trip on the highways and byways of the United States, Wally’s dream couldn’t be contained by the borders of his own country. 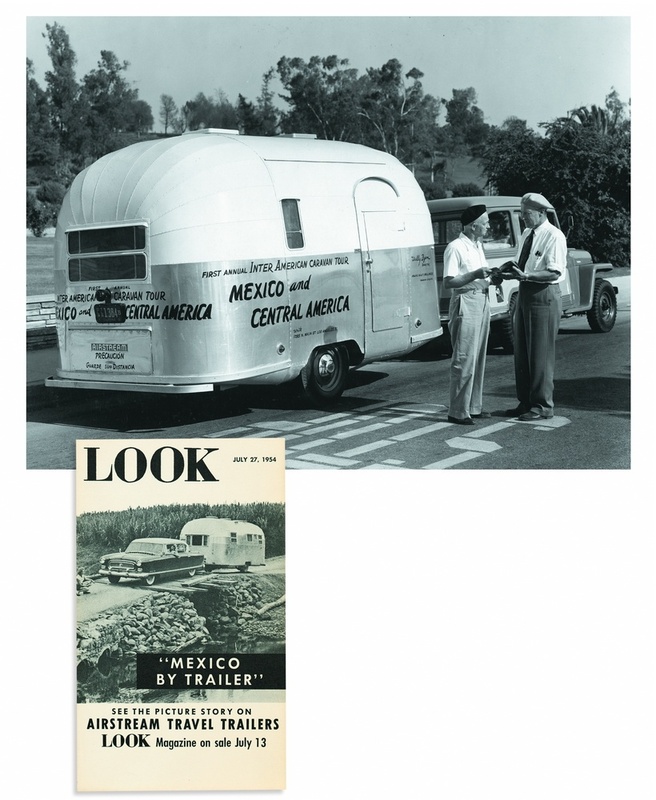 In 1951, Wally suggested to several friends that they go on a trailer caravan from Southern California to Mexico. The idea caught traction and was picked up by several trailer magazines. Intrigued, Wally decided to advertise the trip in the Los Angeles Times. He expected around 35 trailers and was surprised when 63 trailers of all kinds arrived at the departure point in El Paso, Texas. Each person contributed $250 for equipment and Wally purchased generators and an army surplus water purifier. In addition, a staff member with a tow truck accompanied the caravan. In order to keep track of everyone, a number was painted on each trailer, with Wally’s trailer being #1. 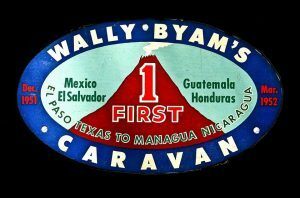 This was a precursor to the red Wally Byam Caravan Club International numbers you see today on some Airstream units. Donning his iconic blue beret, Wally led the caravan through Mexico, Guatemala, El Salvador, Honduras, and ended in Managua, Nicaragua. The caravanners visited remote Mayan villages, experienced Christmas fiestas in Mexico City, and were personally escorted by the President of Nicaragua on a tour of a sugarcane plantation. When they reached the gap in the Pan-American Highway, they loaded their trailers and tow vehicles onto rail cars for a 15-hour ride through the jungle. While on the road, the caravan stretched several miles. At night, the caravanners parked their trailers in a circle and ate, laughed, and danced together. The four-month trip was not an easy one. The caravaners experienced rough roads, nerve-wracking bridges, broken axles, and overheated tow vehicles. The generators and water purifier eventually failed and most trailers at the time did not have fresh water tanks, 12 volt lighting, or a bathroom. Wally himself lost weight and gained “a new outcropping of gray hair.” In the end, only 14 trailers completed the trip and Wally vowed to never lead another caravan. 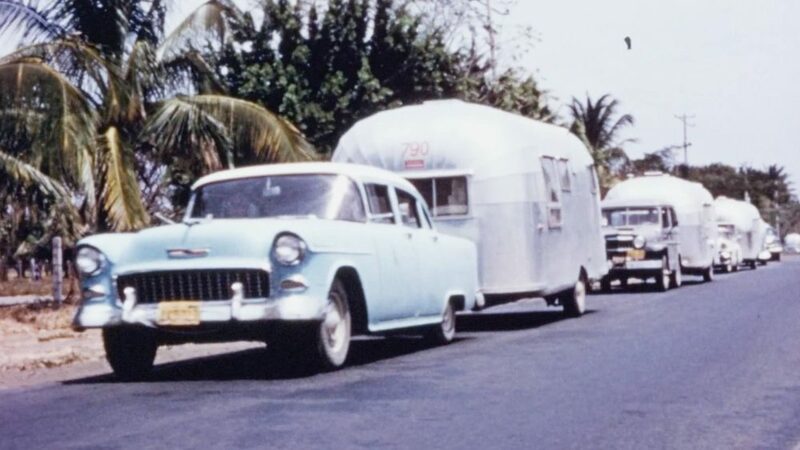 Thankfully, this sentiment did not last long and caravans would soon become an integral part of the Airstream Way of Life.